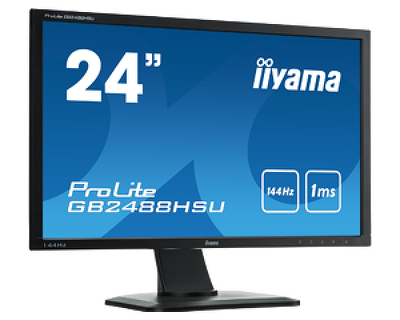 ProLite GB2488HSU is iiyama’s latest dedicated professional TN LED monitor, specifically designed for gamers. It features a response time of 1ms, which ensures fast, fluid and accurate transition between the images and reduces ghosting or smearing, making this high specification screen ideal for FPS (First Person Shooter) games. The 144Hz Refresh rate of the GB2488HSU offers a superior frame rate and aids in reducing motion blur and provides smoother animations. The e-gaming customizable functions of the GB2488HSU enable user optimized functions to improve gaming experience, and the Video Mode Adjust can match any aspect such as 5:4 with pixel perfect accuracy. Additionally, it is also possible to adjust the brightness and the dark shades with the Black Tuner, giving greater viewing performance in shadowed areas. Blistering performance can be achieved with the Direct Drive function, which bypasses a number of functions handled by the screen, allowing your card to drive the screen directly delivering the highest frame rate and the lowest lag. When you have customized the monitor with your own preferred settings, save them for a future use in the User Settings Storage (3 users max). If you do not have any preferences GB2488HSU is equipped with 5 screen modes for different purposes of use: Standard, Sport Game, FPS Game, Strategy Game and Text. Due to the all-encompassing connectivity, ProLite GB2488HSU has an exceptional suitability to work with any peripheral: DVI-DL, 2xHDMI, DisplayPort, USB HUB and speakers. 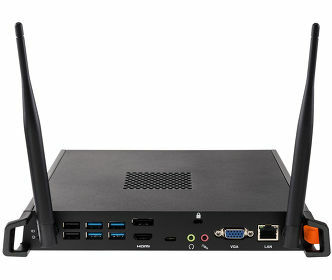 Guaranteeing ease of use across platforms such as games consoles and workstations. This 24” also incorporates an ergonomic height adjustable stand with a range of 13 cm and pivot function for portrait viewing for perfect posture support when gaming. The ProLite GB2488HSU is an ideal screen for the RTS, FPS console games and the demanding gamers who settle only for the best specifications. 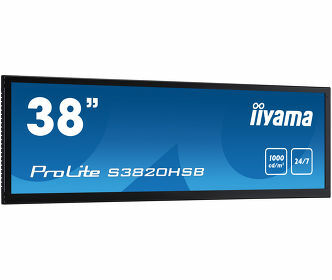 The ProLite GB2488HSU will be launched across Europe by iiyama on March 13th 2014 and will be available at a RRP of Euro 319 incl. VAT and a 3 years ‘on-site’ Advance Exchange Warranty.